The transfer of advanced technologies to the next vehicle or the next platform will be achieved by fostering an environment where Navy-relevant basic and applied research is being pulled into the design and manufacturing process by EB and the 600 naval-related companies in the supply chain as well as Navy labs NUWC and the Undersea Warfighting Development Center. While research is the core activity of the Institute, the most highly leveraged activity is the transition of technology advancements into major DoD acquisition programs. Effectively transitioning research results is critical to provide a significant and positive impact on naval capabilities. Members of the NIUVT are conducting basic and applied research hand in hand with industry partners to ensure that a path to transition exists. 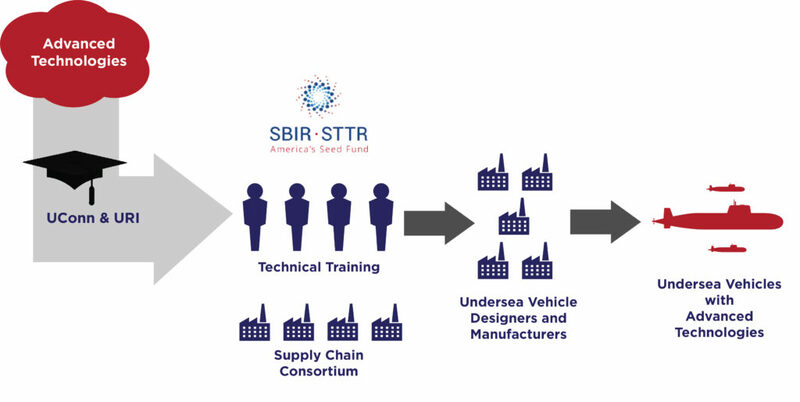 The NIUVT is seeking to develop a framework to assist small businesses in the undersea technology area with: identifying and/or further developing new technology; team building and proposal preparation; facilities to conduct SBIR or STTR research; and transition of technologies and products to manufacturers and suppliers. More details will be posted here as opportunities become available. Closely coupled to Workforce Development efforts, the technical training of students and knowledge gained in research in M.S. 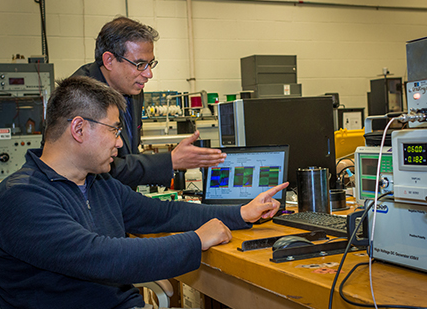 and Ph.D. projects by students who become employed in the undersea vehicle workforce serves as an effective means to transition technologies directly to the Navy. The Southern New England region is rich with industries supporting and providing undersea vehicles and technology to the Navy. Existing consortiums exist in the region. The NIUVT will work with Naval undersea consortiums to engage companies in the region in the activities and opportunities of the institute.